A lightweight and eco-friendly alternative to traditional concrete bases for sheds, cabins and greenhouses. • New & Updated interlocking grids - No more Eco Pins! Prepare a level area. 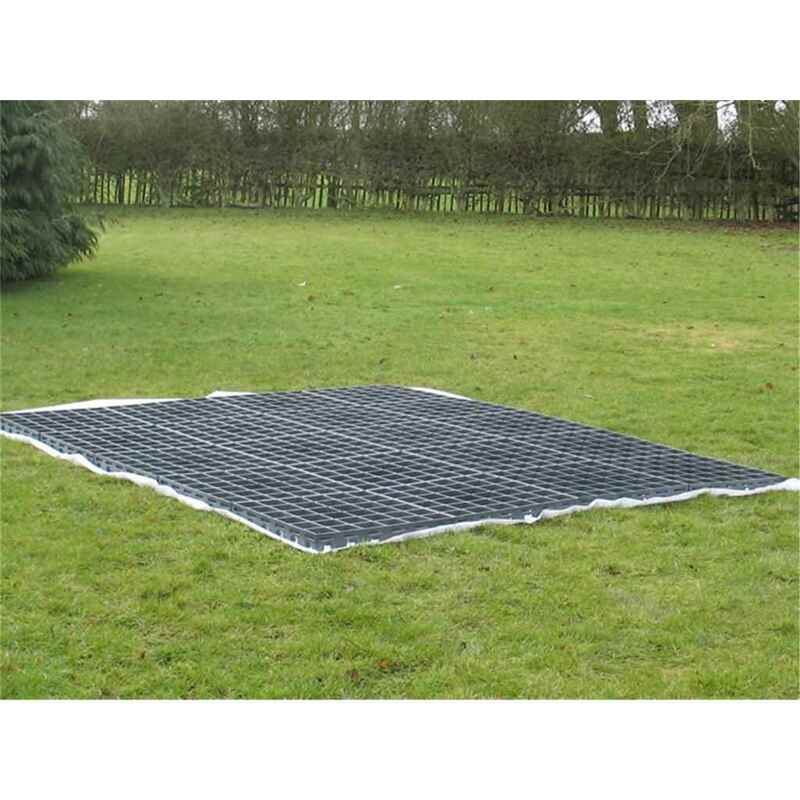 EcoBase can be laid directly onto grass, soil, builders sand or pea gravel. 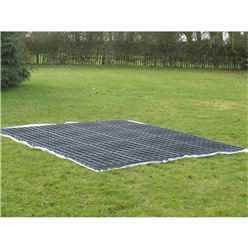 Lay out your EcoBase on top of the membrane. Cut to size if necessary. Each grid simply interlocks with one another. Design your EcoBase to be the same size as your shed (No pea gravel required). Design your EcoBase to be larger than your shed and fill the excess EcoBase with pea gravel to create a French drain which helps to prevent splash back of rain water and soil debris onto your timbers. Adding pea gravel to your Greenhouse EcoBase creates an instant soak away. Secure your greenhouse to the EcoBase using plastic ties. Filling the EcoBase with pea gravel creates a firm stable base for small log cabins and timber buildings. Made from UV stabilised 100% recycled plastic. Each grid is: 500mm x 500mm x 50mm. Weight: 1.8kg per grid. Crushability: 185 tonnes m2. Each grid holds approximately 16.5kg of 10mm pea gravel.